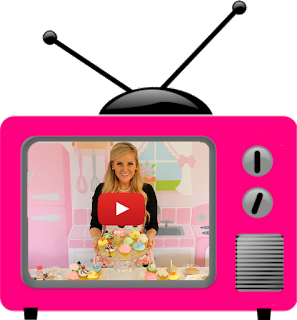 I created these donut Easter basket pops along with my marshmallow Easter bunny pops last year and loved them so much I had to share them with you again! They make a perfect Easter treat, party favor or place setting that is sure to impress kids and adults alike. Melt chocolate according to package, you can use milk chocolate or white chocolate depending on whether you want a white or brown basket. Even use chocolate covered donut holes or powdered sugar donut holes and skip this step all together! Dip stick in melted chocolate and push half way through donut hole. Trim off rounded top. Dip donut hole into bowl of melted chocolate, tapping stick gently on brim of bowl, letting the excess chocolate drip back in. Place flat side down on wax paper to dry, letting the excess chocolate pool at the bottom of the donut hole, creating the "brim" of your basket. Using the heat of your hands, knead tootsie roll until pliable and make a long snake. Fold snake in half and twist both sides together. Bend into an arch, creating a handle. Attach to top of basket with melted chocolate. Note: Use a vanilla flavored tootsie roll if you use white chocolate for your basket. Place coconut in a nag with a few drops of green food coloring and shake/knead until coconut is green. 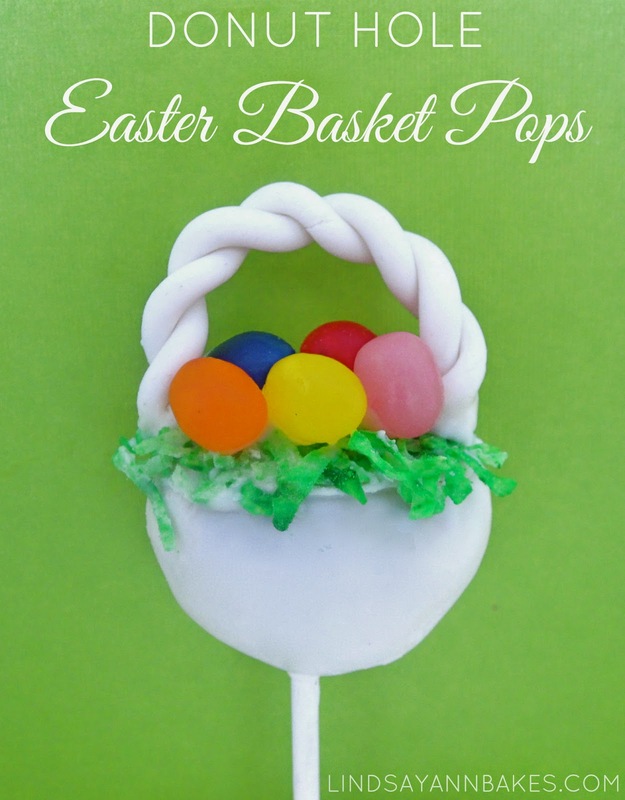 Add "grass" and jelly beans to your basket using melted chocolate as "glue"
You can individually wrap your pops in clear plastic bags for a party favor, or you can create a display for your pops. To create a display that your pops can stand upright in, take a block of Styrofoam and wrap it in festive wrapping paper or tissue paper. Push the bottom of each stick into the styrofoam for guests to easily grab and enjoy. Even tie a custom tag to the stick to use as a personalized gift or place setting!